We carry a large assortment of tuning pins in all sizes - Blued and Nickel Plated with Blued Threads. 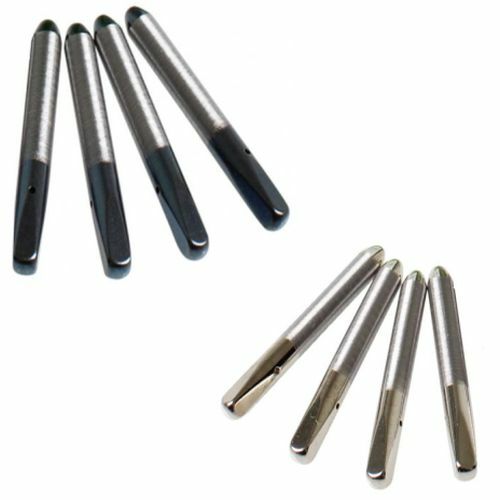 We recommend the Nickel Plated Tuning Pins for added rust resistance and beauty. The threads are cut after nickel plating to insure full sharp threads. Select Length 2" -Only in 1/0 2-1/4" 2-1/2" 2-3/8"
I have ordered from vandaking.com several times, and the supplies I receive are always first rate and arrive faster than any other mail orders I have done this year! The tuning pins are perfect blued nickel and they look beautiful. The felt is perfect, and everything arrived in a couple of days. Great product, reliable, consistent thread. Would buy again. O recomend this guys. Clear and fast!